Do you know that it’s Saint Valentine’s Day today? An interesting fact is that, in Japan, one small translation mistake led to a Valentine’s Day tradition. In the land of the rising sun, it is the women who give men chocolate: and not just to their loved one, but to nearly every man in their social life. It was 1936 when Valentine’s Day was first introduced to Japan by a chocolate company called Morozoff. One of the company’s executives learned about Valentine’s Day but misunderstood the gift-giving custom meant “women give men gifts”, rather than vice versa. And, so, the current tradition was born. It’s not only interesting story, but also an example of the consequences that translation mistakes can have. Use smart translation software to get rid of the superfluous cares and focus on translation. 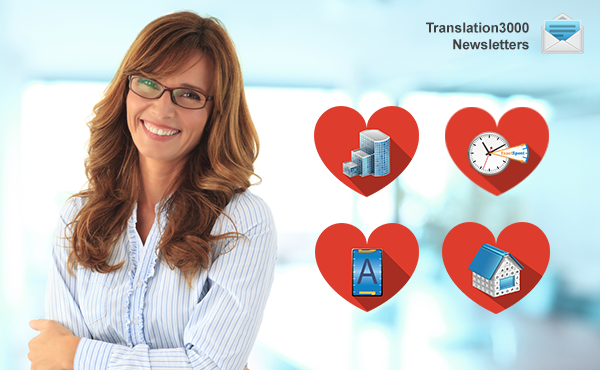 Give yourself a gift of love – smart software for translators! 50% discount 3 days only. ← Let’s Celebrate Business Translation Day!